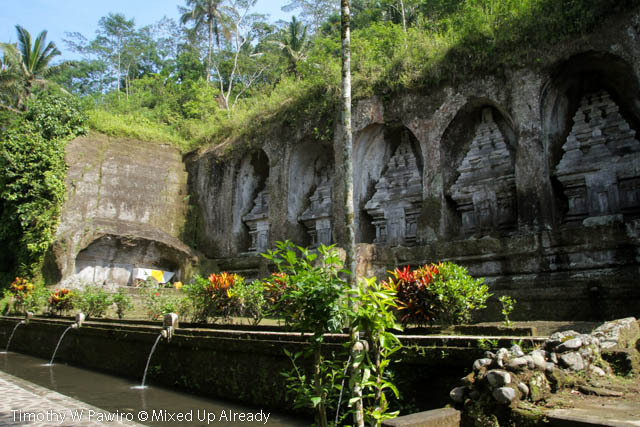 I have already included Candi Gunung Kawi in my previous post about 8 places that you can visit near Ubud. 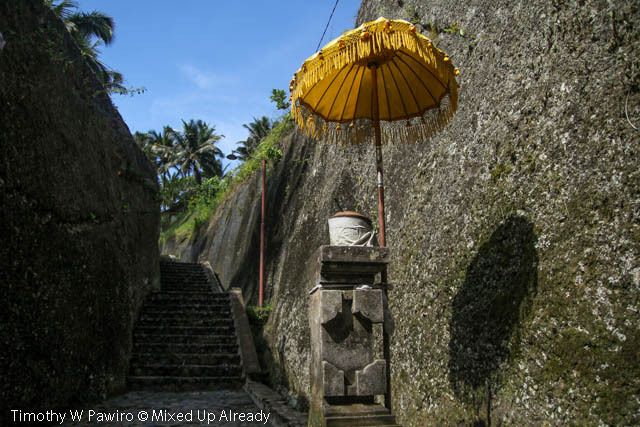 I just love this place, so that’s why I decided to make another blog post about Candi Gunung Kawi with more photos. 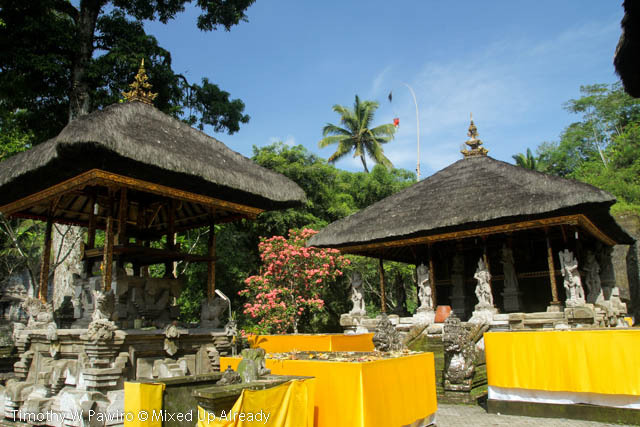 Candi Gunung Kawi is located in Tampaksiring area where it’s located near Ubud. This is the first time I visited this place. 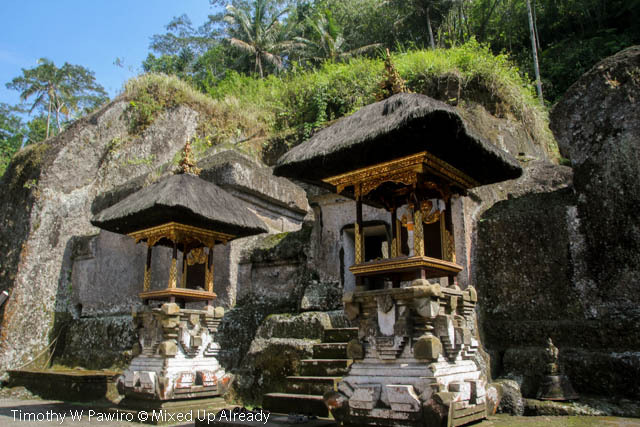 All of this time, I only saw the place from the photos in the internet, so when I was having a holiday in Bali and decided to stay in Ubud a couple of years ago, I thought it was a good idea to visit this place. 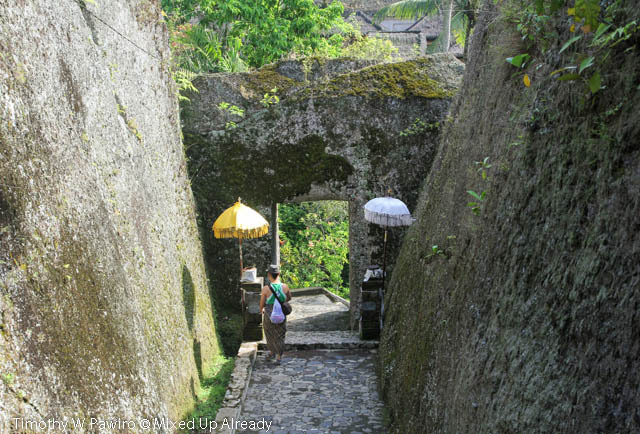 What I didn’t realize about this place is Candi Gunung Kawi is actually located at something like a valley, down the hill, and ‘hidden’ inside a rain forest. It’s a different situation like if I went to other candi, let’s say Candi Borobudur. I could remember the weather was extremely hot, even I literally became darker after the visit to Candi Borobudur! Haha. 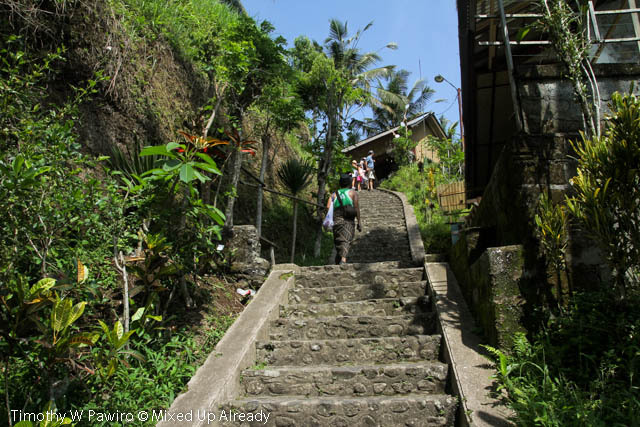 To reach Candi Gunung Kawi, my friend and I needed to walk down of around more than 300 stairs from the entrance gate [imagine walking up the 300 stairs!! Lol]. 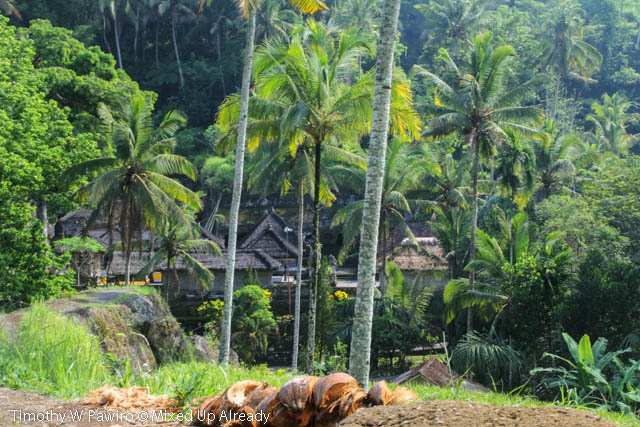 But the view along the way was quite nice, where we walked passed a beautiful rice terrace just on our left. 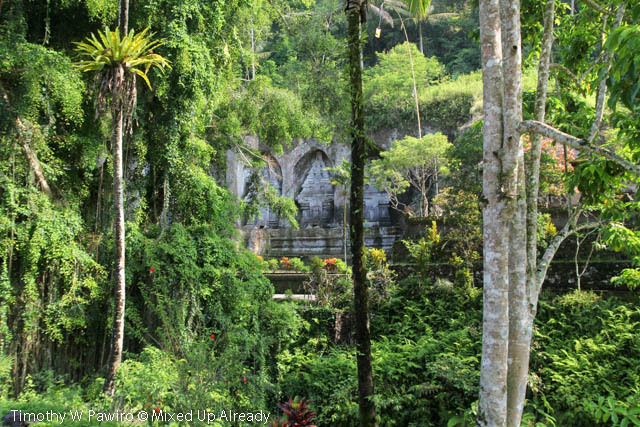 From afar, I could already see the candi complex that sits behind several trees. The stairs then led us entering to the entrance ‘door’ where it’s actually doesn’t look like a door at all. We were actually standing in between two tall-stone-wall, and the ‘door’ is like they’re making a square hole on that stone. 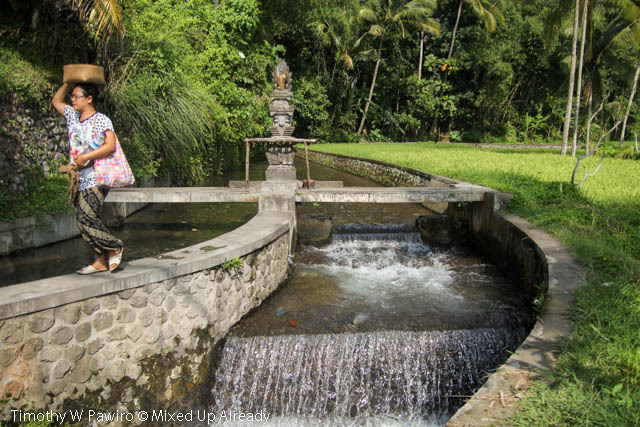 Before we entered the complex, there’s a ‘holy water’ near the entrance, where we can use it to cleanse ourselves. 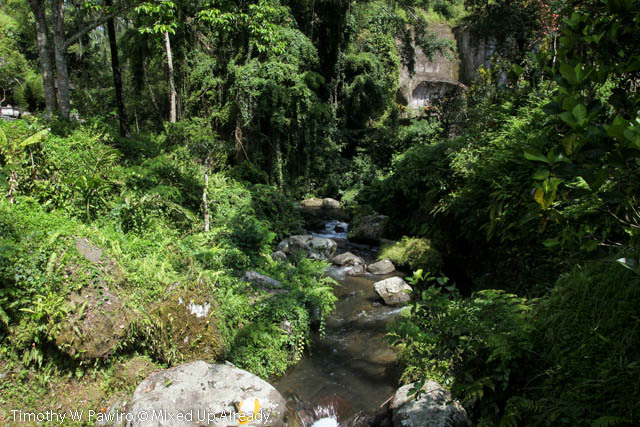 The sound of the running water of the Pakerisan River welcomed us to Candi Gunung Kawi area. This place was actually not crowded at all. We only saw several visitors – mostly foreigner, and I love it! This means I can really enjoy my visit here and explore the area. 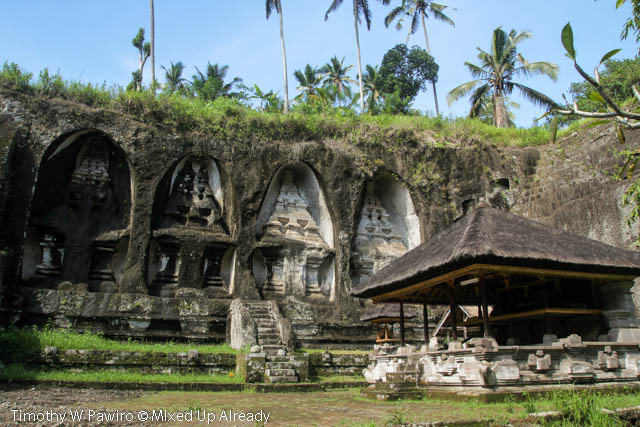 To give you little information about this place; Candi Gunung Kawi was built during the King Udayana until the period of his son with the name Anak Wungsu. There are two sections of the temple, one section is located in the western side where there are four temples, and the other one is in the eastern side of the complex with five temples. Although the temple is quite simple compare to other Candi that I have visited, but it’s really unique as the temple was made by carving the stone wall to make a temple .. not only one, but there are nine temples. It still has some details on the front side of the temples. 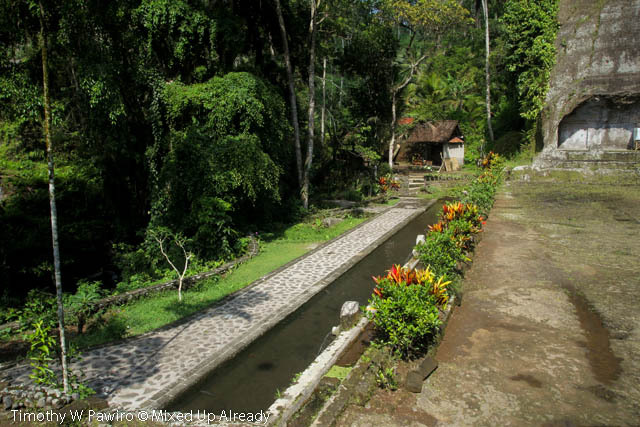 Besides the temple ‘on the wall’, the complex has some area that were used to meditate. You will see some big stones with holes, which apparently is ‘the window’ to the room inside the stone. 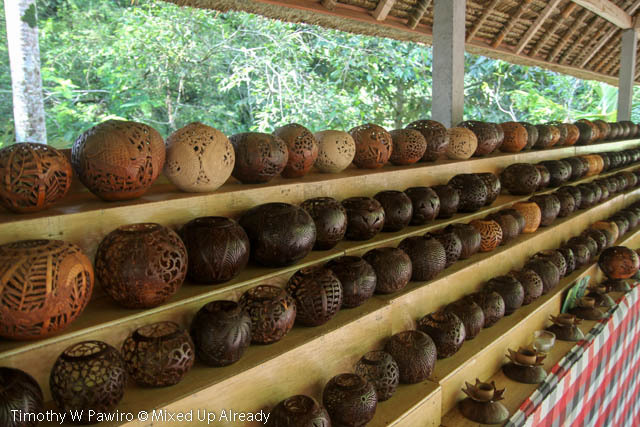 You will also see an art workshop where the artist using the coconut fruit as the way to channel his talent in crafting. The result is some good arts! And now I regret I didn’t buy any of them! ~ I was not so sure where I should put it in my room.